The Keynote Speakers For Bootcamp Have Been Announced! Bootcamp is coming up really, really, really fast. So fast that we’re on our last tickets! But if you haven’t got yours yet, these keynote speakers should change your mind. In case you’ve been living under a rock, you’ll know that B&T‘s inaugural bootcamp is NEXT WEEK! You’ll walk away better, smarter and ready to be more successful than ever after attending this day filled with mentoring and masterclasses. Basically, this is an unmissable event for anyone who wants to improve themselves in the Australian communication industry. We’re gathering some of the top execs around – think agency heads, CEOs and and CMOs – and turning them into mentors for the day. That’s where you come in. They aren’t going to mentor themselves, are they? FYI, each and every one of those industry powerhouses will be hosting speed mentoring sessions where you can learn a whole lot. And now, one of them has become a keynote speaker as well! This newly-appointed MediaCom CEO has more than 20 years’ experience at the leading edge of a number of technology specialties, both for major name organisations and start-ups. He has worked in the US, UK, China, Hong Kong, Singapore, Japan, Australia and New Zealand. Pang’s expertise spans from IT and technology infrastructure through to cloud computing, marketing automation, big data, analytics and more. Pang has experienced a meteoric rise through the ranks of MediaCom – and you’ll learn a whole bunch from him at Bootcamp on how to propel your career like his. Watch him on why Bootcamp is important below! 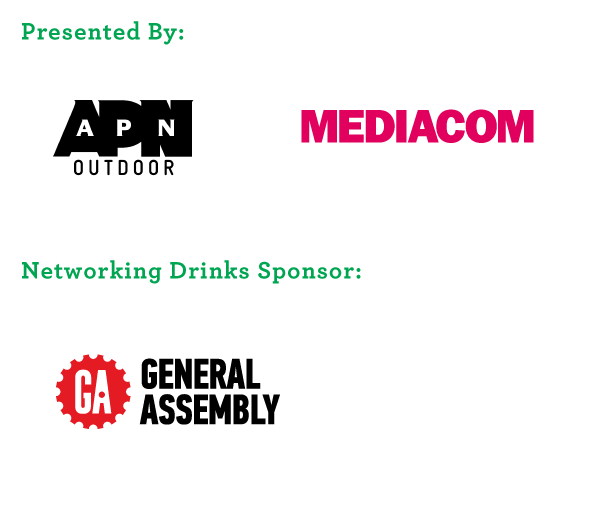 Our other keynote speaker is one of the top execs at APN Outdoor, one of our beloved sponsors for B&T Bootcamp. But that’s not her only claim to fame now that she’s a speaker! This power woman is the head of people, culture and performance at APN Outdoor, and has previously worked for companies like Pandora and Fairfax Media. Van Riet has worked at an executive leadership level across the spectrum of start-up, scale-up and mature organisations, both private and publicly listed, and predominantly through times of significant transition such as hyper-growth and contraction, pre-IPO & acquisition and industry disruption. And now she’s one of the keynotes at Bootcamp! Watch her talk about how young people (the one’s attending Bootcamp) are vital to the industry below. Add these inspiring keynotes to masterclasses and networking opportunities and you’ll have all the tools you need to become a future leader. So don’t miss out! Last-last-last minute tickets are still available right here! The event will take place on Tuesday 20 March at The Portside Centre in Sydney, but to find out more about the B&T Bootcamp, click here.